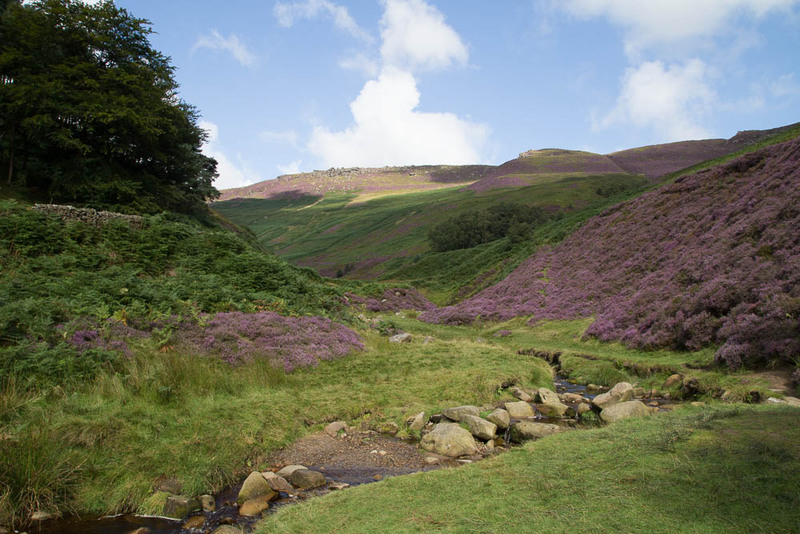 Our farm is located at the very top of Edale Valley – the last farm before the open moorland of Kinder Scout. 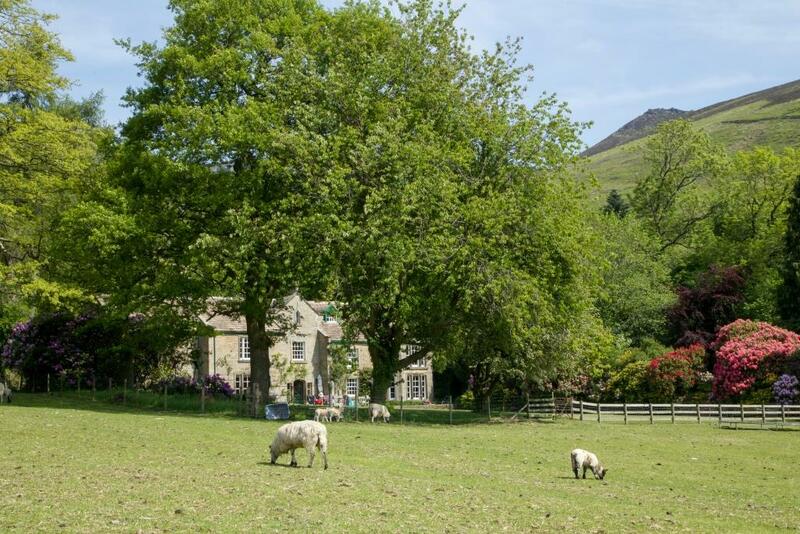 Once through the farm gate you are in a haven of calm and privacy, yet only a few hundred yards’ stroll to the pubs and cafes of Edale village. The official start of the 270 mile Pennine Way is just down the lane. The Gathering lodges are strung out along the wooded banks of Grindsbrook, the peaty stream which carries water from the moorland above. You look out from your veranda onto dry-stone walled sheep pasture, and beyond them the heather moorland and gritstone crags of Kinder Scout. This is walkers’ paradise with open access for miles around. There are superb walks to pubs across the hills, with easy train rides home on the Trans Pennine network. Children love scrambling up the stream, swimming in icy cold waterfalls, picking bilberries and playing in the peat hags. We have plenty of games to set up in the meadows: badminton, rounders, football, soft tennis, cross country croquet, even cricket once the ground has firmed up in the summer and we roll out the wicket.